My friend Frank the OT lives on the east side of Nashville near Antioch. He is a pizza lover who after reading my Nashville blog entry told me about Angelo’s Picnic Pizza. 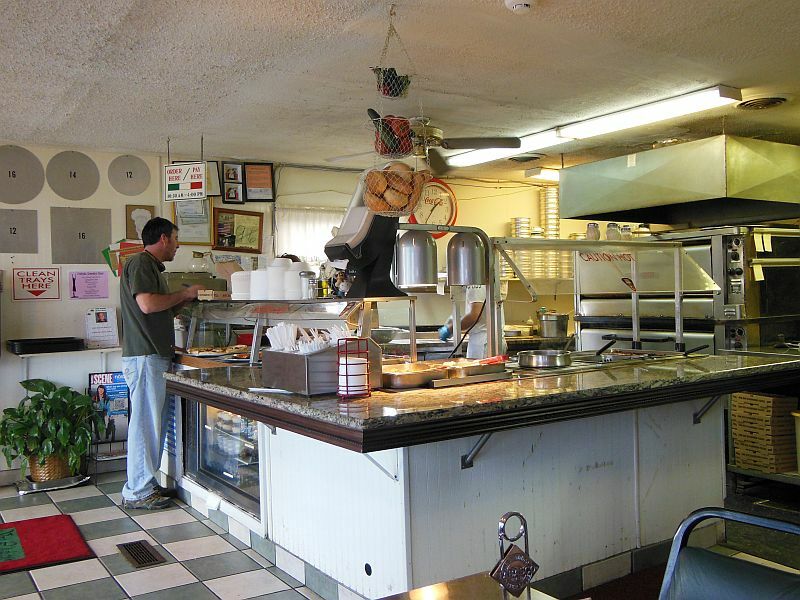 This was his go-to place along with Sal’s Pizza, and he thinks the owners of these joints are somehow related. So, on a recent Saturday, I invited Frank, Bassman Steve, Doug the Computer Guy and The Kid out for a lunch in the urban wilds of Antioch. We all used to be part of a home group, and I was excited for us to get together again and share some pie. Knowing they were all pizza lovers, too, I dubbed us the “Snob Squad” for this and perhaps future outings. 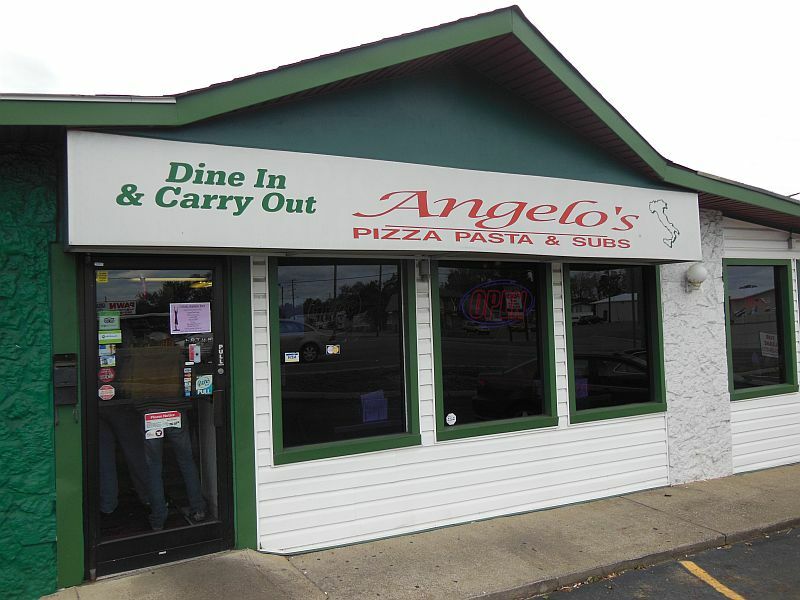 Angelo’s is a nice little joint that specializes in pizza and also serves up the usual pasta, salads, etc. It is located on Murfreesboro Road, not too far from where it crosses busy Bell Road. The description of this area is one that is familiar across America: A road once a major highway before the interstate came to town now housing small businesses. My perfectly-planned Saturday was somewhat spoiled by a flat tire, but with The Kid’s help I managed to get to our gathering only a few minutes late. To compensate for my tardiness, I treated the Squad to two large cheese pies. 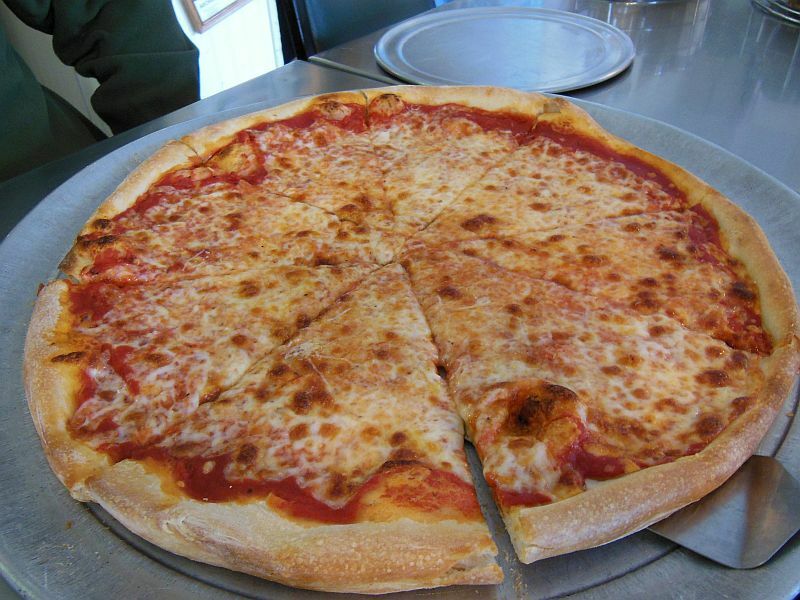 I knew that I had the right group for the task when I heard Frank say that a plain cheese slice was the only way to properly judge pizza. After catching up with each other and letting the pies cool down so the cheese wouldn’t fall off, we got to business. I intended to compare their pie to Sal’s based on what Frank told me, but it was soon obvious that this was a notch above. The Snob Squad agreed, and it didn’t take long for those two pies to disappear because this was darn good pizza! The pies were cooked very well but perhaps could have been a bit thinner. Steve really liked the texture of the crust. The tomato sauce was somewhat short on spices and also tasted a bit tart. Frank thought it was especially tart when he ate the ends without any cheese. They did a good job of using just the right amount of cheese; however, it was a little clumpy and could have been melted a little smoother. The Kid observed that the mozzarella they used wasn’t thinly shredded which may have been the cause. The overall conclusion however was that this was a good classic pie. Even discerning Doug agreed!